Let Kelso take the hassle out of building. We can walk you through your new with large displays of doors, locks, taps, vanities, spas, timber, bathrooms, etc. Our consultants are experienced in advising you on colours, brands, styles, sizes, layout or whatever. 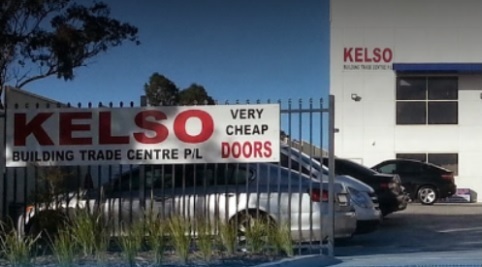 Unlike other retailers, Kelso does not offer a quoting service. We prefer to spend all day if necessary to put together an entire package involving selection, quantities and discounts. We can save you time and money. Please bring your plans with you. Why not phone now to find out more about our package deal service or make an appointment to see one of our qualified consultants. Get your prices and bring them with you. We will give you the cheapest prices and you can make your decision on the spot. You can buy now and we can store the building materials at Kelso for free for as long as you like. Take your building materials as you need them and avoid price increases. We will store your order for free and save you money. Country customers are most welcome. Please ring and make an appointment. We deliver anywhere in NSW and interstate. Please call our consultants on (02) 9636 4222. We can do a deal like nobody else. We sell doors, locks, hinges, tracks, spas, baths, vanities, taps, toilets, showers, laundry tubs, clothes hoists, doorjambs, timber, architraves, skirting, nails, bath lights, wheel barrows, waterproofing, ovens, cooktops, dishwashers, etc.